The ADX20iP has a cardioid polar pattern. 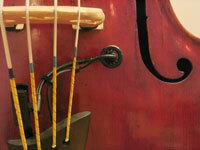 Included with the ADX20iP is a gooseneck clip with spring tension for easy mounting to the instrument. 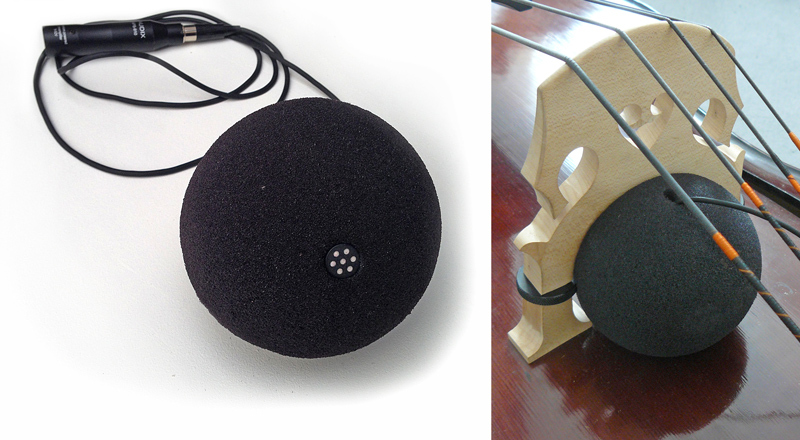 At www.kontrabass-atelier.de, also available with the BassBall. This microphone mount can used instead of a gooseneck: just put it into the bridge arch (between bridge and top). Due to the ball shape, the capsule can point in any angle to the top. The distance from mike to top can also adjusted very easily.